Low oil prices are an economic stimulus to some, and the decline of OPEC is overstated, Justin Dargin, a global energy scholar at the University of Oxford told Sputnik. Although low oil prices are harmful to many world economies, to others it represents economic stimulus, and many countries with mixed economies have a complicated relationship with the oil price, Justin Dargin, a global energy scholar at the University of Oxford told Sputnik. ​"If you look at countries that are in a bit of a mixed position, such as the US, Canada, or even Mexico, they do produce oil in significant amounts, but at the same time, they have a relatively large population base that would indeed benefit from these low prices. Their oil industries do contribute significantly to the tax base." 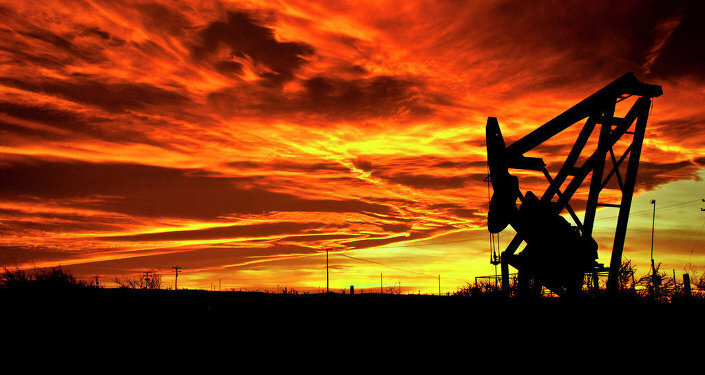 Factors that have contributed to the lower oil price include a dip in demand from China and certain European Union countries, and speculation about the future of energy use, such as the deliberations which took place at the climate change conference in Paris, said the expert. Despite many observers predicting the end of OPEC, Dargin believes that the debates about its relevance are in fact a testament to the cartel's enduring importance. "What OPEC is looking for, in particular Saudi Arabia, is that there has to be some kind of collective action from the non-OPEC countries in order to collectively reduce output, and if they don’t want to do so, or if they're unable to do so, then Saudi Arabia will perhaps encourage them to do so by continuing to produce as much as it wants." Though such a policy holds risks for the Saudi leadership, and "almost seems as if it's cutting off the nose to spite the face," said Dargin, Riyadh is viewing the situation "in terms of long term versus short term threat." In 2011 and 2012 the Saudi leadership invested a lot of money in social programs to mitigate dissatisfaction, said Dargin, and also gave money to some neighboring regimes to prop them up. If oil prices stay low in the longer term, Riyadh will not be able to keep up such spending; on the eve of the Iraq invasion in 2003, the break-even oil price for Saudi Arabia was about $30 per barrel. "Fast-forward to 2013-2014, that has increased to about $90 or so per barrel, due to demographic increases and also massive governmental expenditures as well." However, these short term threats are balanced by the longer term threat of increased production from non-OPEC countries, which have more diverse economies than Saudi Arabia and other countries in the region. OPEC's decision not to lower its production ceiling despite low oil prices is a source of conflict within OPEC, which has been divided into two camps since its inception in the 1960s, said the expert. Countries such as Venezuela, Mexico, Algeria, Libya, and Nigeria have more diversified industries and relatively high populations, and are called high absorbing because they therefore absorb a lot of oil revenue and need a higher price. Saudi Arabia and other Gulf countries are low absorbing countries which can subsist on a lower price, and are trying to convince the others of the long-term benefits of retaining the current policy of not cutting production.